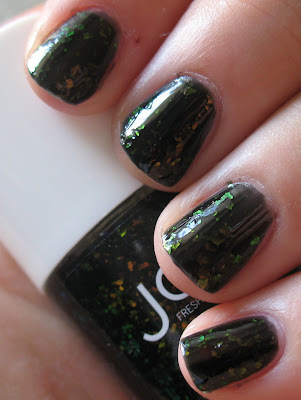 Twilight is a black jelly polish with iridescent green/orange/yellow flakies in it. 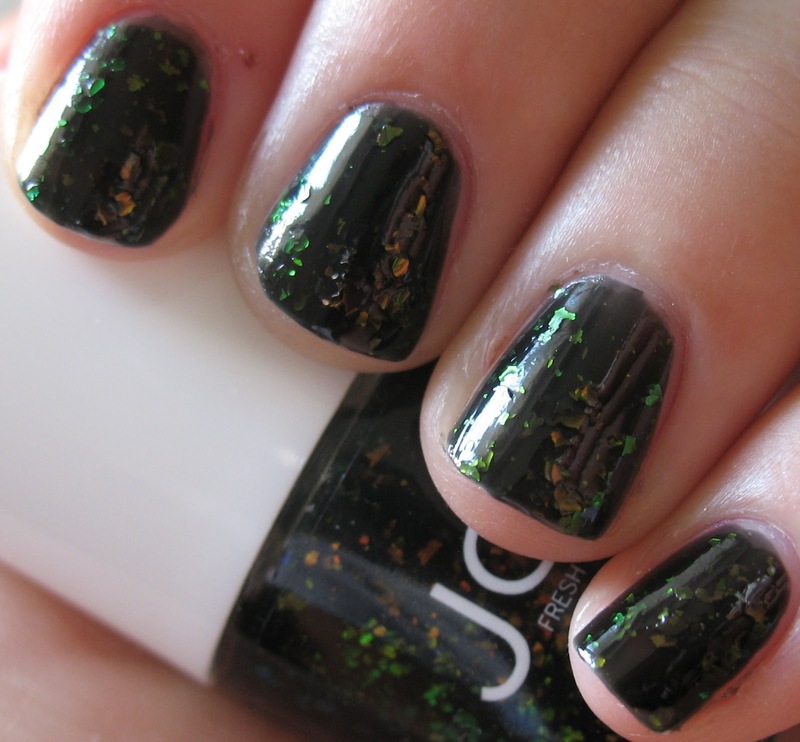 It is a really cool polish! 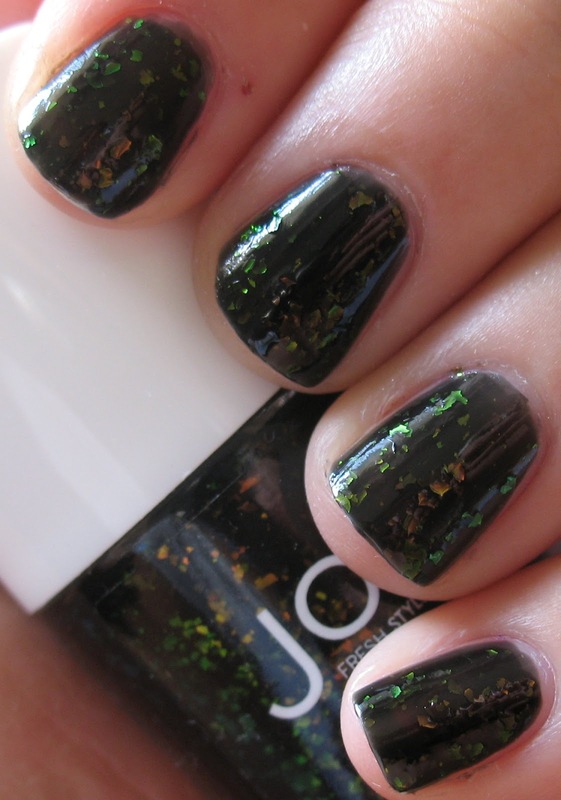 You could achieve a similar look by painting Nubar 2010 or Sally Hansen Hidden Treasure over a black polish, but this is all mixed into one! This is three coats. I will for sure be wearing this color this winter! Hopefully I will have free internet at the next hotel and will be able to post again!! Have a great day everyone!! <3 you guys! so freaking awesome! that is a very unique polish!